Above: The Housing Town Hall and Resource Fair. Have you ever wondered how to take your landlord to court, or if you even can? 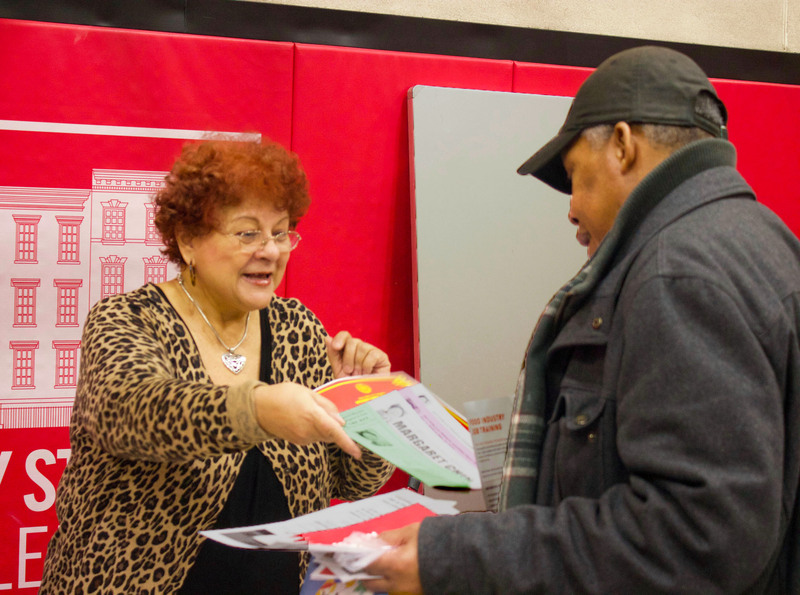 Attendees of the recent Housing Town Hall and Resource Fair, held at 301 Henry Street on Saturday, January 26, 2019, learned that and more from representatives of New York City organizations providing housing services, advocacy, and support. According to the Association for Neighborhood Housing & Development, the Lower East Side ranks second highest in Manhattan for threats to affordability. Rents are steadily rising, income disparity among residents is growing, and affordable housing is scarce. Henry Street organized the event with Good Old Lower East Side (GOLES), an organization that promotes tenants’ rights and revitalize the community on the Lower East Side. Henry Street’s Deputy Officer for Public Policy and External Relations Jeremy Reiss and Advocacy and Community Engagement Manager Talia DeRogatis welcomed the crowd and framed the day. They also introduced local elected officials including New York State Assembly Member Harvey Epstein, who serves as Chair of the Assembly’s Subcommittee on Retention of Homeownership and Stabilization of Affordable Housing. Assembly Member Epstein encouraged constituents with specific individual housing concerns to contact him or their local State Assembly members. In addition, the state website rent.hcr.ny.gov, offers a number of resources for tenants with landlord issues. Above: Assembly Member Epstein addresses the crowd. 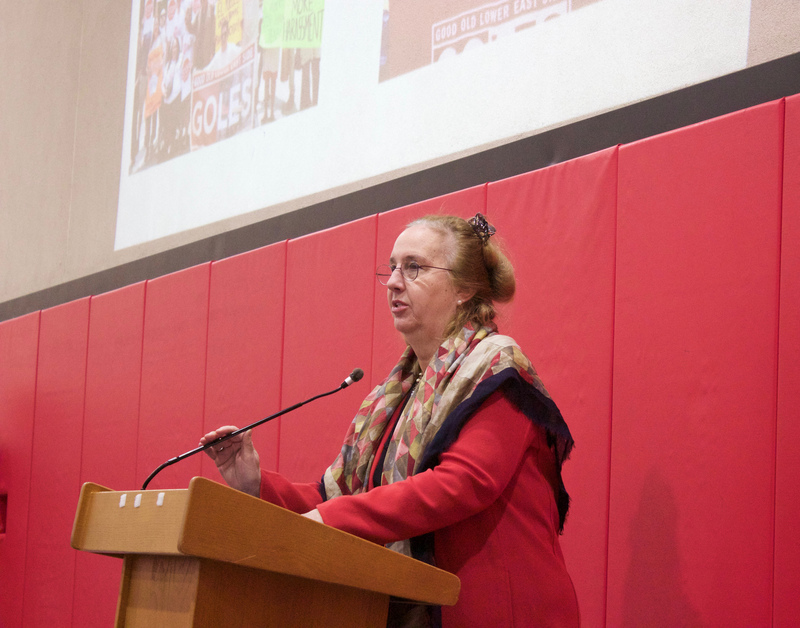 Manhattan Borough President Gale Brewer said her office can be of service by ensuring that land-use proposals go before local community boards, allowing citizens’ voices to be heard. Brewer and GOLES Director of Organizing Julian Morales both discussed proposed changes and closures to East River Park, and how local residents can voice their concerns about these changes. “This could be a big year for housing movement and we’re hoping to see a lot of things change,” said Morales. Above: Manhattan Borough President Gale Brewer addresses the crowd. The event comprised four workshops and a resource fair with representatives from Henry Street programs as well as NYCHA, Metropolitan Council on Housing, Housing Court Answers, Manhattan Legal Services, Community Board 3, NYC Emergency Management, and the offices of Congresswoman Nydia Velázquez, Manhattan Borough President Gale Brewer, New York City Council Member Margaret Chin, New York City Council Member Carlina Rivera, State Senator Brian Kavanagh, and Assembly Member Harvey Epstein. A key message of the event was the importance of advocacy and organizing with nearly every workshop outlining the need for community members to push back against arcane rules designed to keep people out of housing, such as credit score requirements for affordable housing. A summary of each workshop follows. 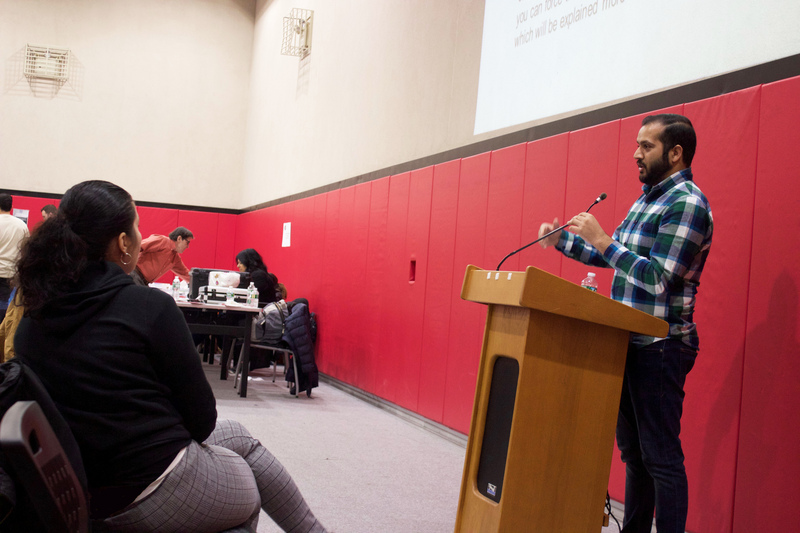 Though affordable housing can be hard to come by, speakers in the Good Ole Lower East Side (GOLES) Housing Connect 101 workshop addressed a variety of ways in which it can be attained. Speakers Deborah Medina and Julian Morales noted that developers receive tax breaks and other advantages when they build affordable housing within new construction projects. 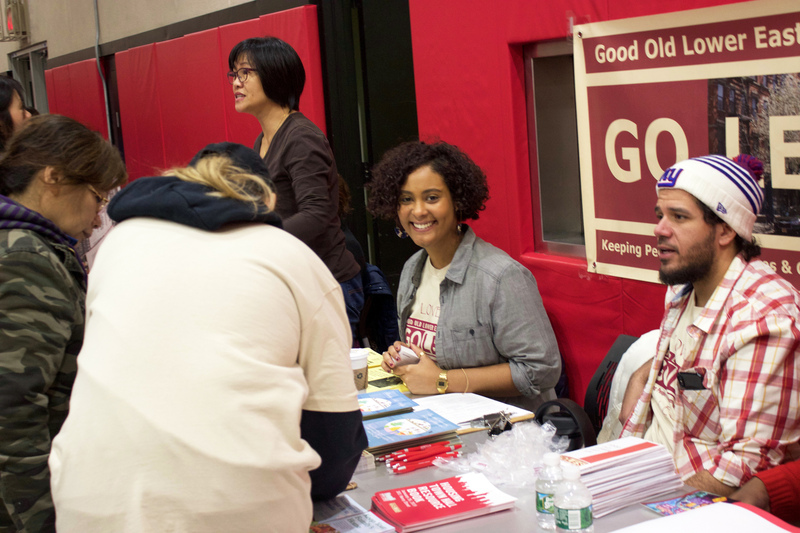 Often 20% of housing is deemed “affordable”—and in the case of the Essex Crossing development, GOLES’s advocacy brought that figure up to 50%. Still, for many people, “affordable” housing is still not within reach. Apartment hunters can find affordable housing lotteries at nyc.gov/housingconnect—and can apply to multiple buildings at once. Yet, speakers cautioned that demand is much greater than availability, with certain groups prioritized in lotteries, such as those in shelters, veterans, the mobility-impaired, those who live closest to the development, and even people who work for city government. Applicants must understand the strict eligibility guidelines, in terms of income ranges, credit history, and criminal background checks. Still, said Julian, applicants who are rejected can appeal within 10 business days, and GOLES has seen people accepted through the appeals process. 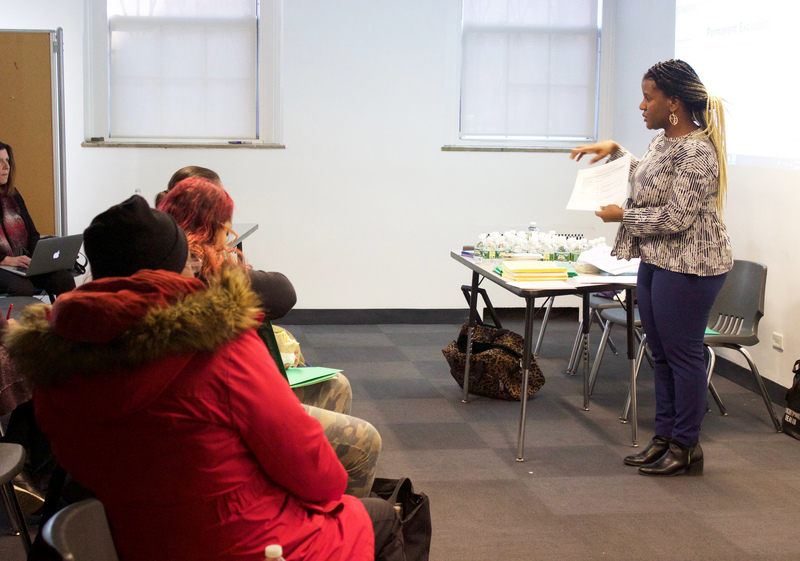 Andrea Shapiro of the Metropolitan Council on Housing, the city’s oldest tenant union, presented this workshop on tenants’ rights and how building residents—including those in NYCHA complexes—can defend them. She focused on issues of repairs and eviction, stressing that regardless of lease type, tenants have a right to a safe living environment. If necessary repairs or safety updates aren’t made, Andrea encouraged attendees to carefully document the spaces, taking detailed photos, ideally with an iPhone that allows geotagging the photo. Tenants may not be evicted without the opportunity to go to court, Shapiro said, and Met Council can provide a list of lawyers and groups that provide free legal assistance. NYCHA is the nation’s largest public housing complex, comprising 326 developments. With more than 260,000 people on the waiting list for apartments, demand is extreme, said Housing Court Answers’ NYCHA Coordinator Genesis Aquino. Priority can be given to a number of groups, including survivors of domestic violence, intimidated witnesses, and people who live in substandard housing such as shelters. New York City’s homeless crisis has only increased the pressure on NYCHA in recent years. Although public housing can be a lifeline, NYCHA keeps careful control of who lives in its buildings and what they pay; the rules can be daunting. Aquino focused particularly on the grievance process, whereby residents may file complaints in a variety of situations, such as an unfair rent calculation by NYCHA, unmade repairs (a chronic problem), or the need to transfer a lease after a death. Aquino also reviewed NYCHA’s apartment-size rules: if a family member moves out of an apartment leaving an empty bedroom, residents—often seniors—must move to a smaller apartment. 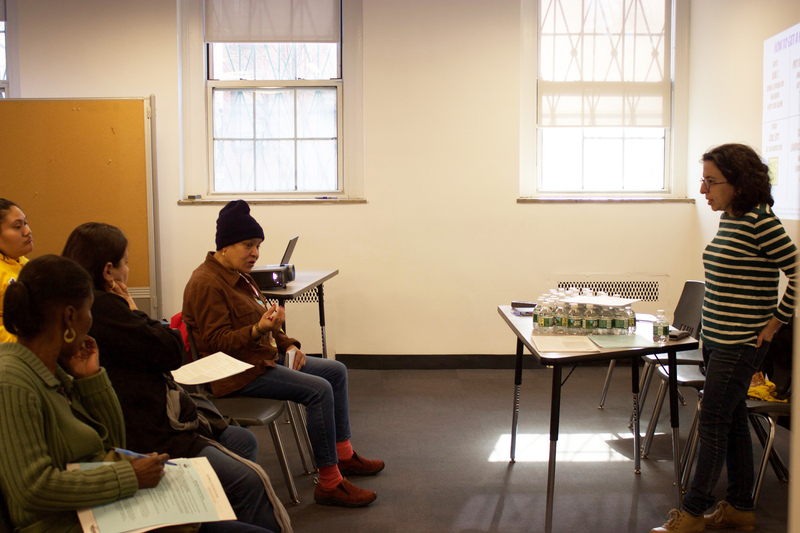 Attorneys Sagar Sharma and Eleanor Spencer of Manhattan Legal Services, a branch of Legal Services NY (LSNY), presented a workshop on routine housing rights issues, including repairs and maintenance, and how to obtain an emergency rental assistance grant. Sharma and Spencer outlined the steps necessary to bring a case against a landlord for failing to make repairs, provide essential services, or harassing tenants. (Tenants start an HP Action and can get a court order for the landlord to correct the situation.) 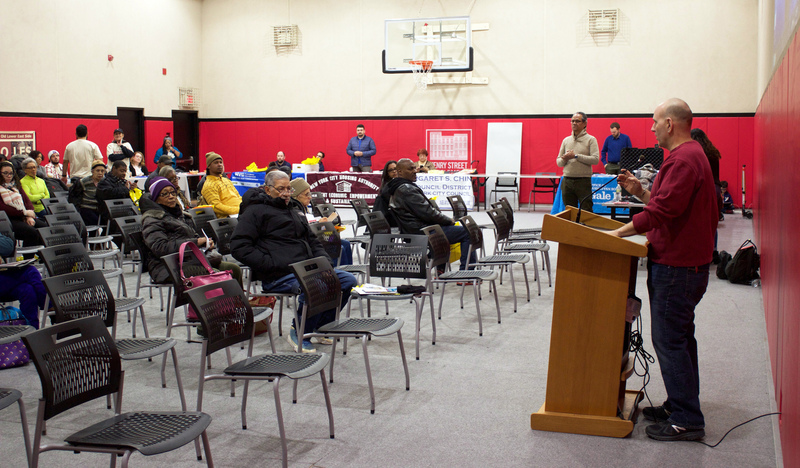 The speakers outlined various lease types and the differences between rent-stabilized, NYCHA and HUD-subsidized, rent-controlled, and unregulated units. The New York City Department of Social Services may provide emergency grants to those facing eviction, commonly referred to as “one-shot deals.” Sharma and Spencer outlined the steps apply and importance of follow-up, as the process can be slow.